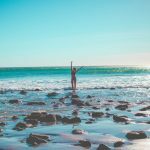 Here at Wholehearted Family Health we have an amazing community of small business owners who really love what they do, and I really enjoy hearing all about it! 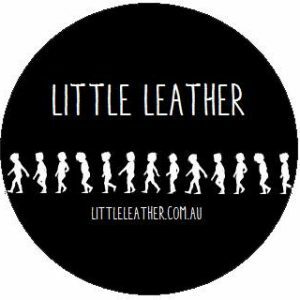 I spoke to Vanessa from Little Leather about her passion for business and her love of little leather shoes. Can you please give an overview of your business? Little Leather is a children’s leather moccasins store with a focus on education about natural foot development. 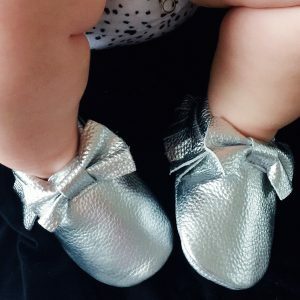 How are little leather shoes different from other baby shoes? We are all about soft soles here until your tykes turn 2. It is so important for little feet to be either bare, or if required, covered with a protective, but soft soled shoe. This allows their foot muscles, bones and ligaments to strengthen and develop. 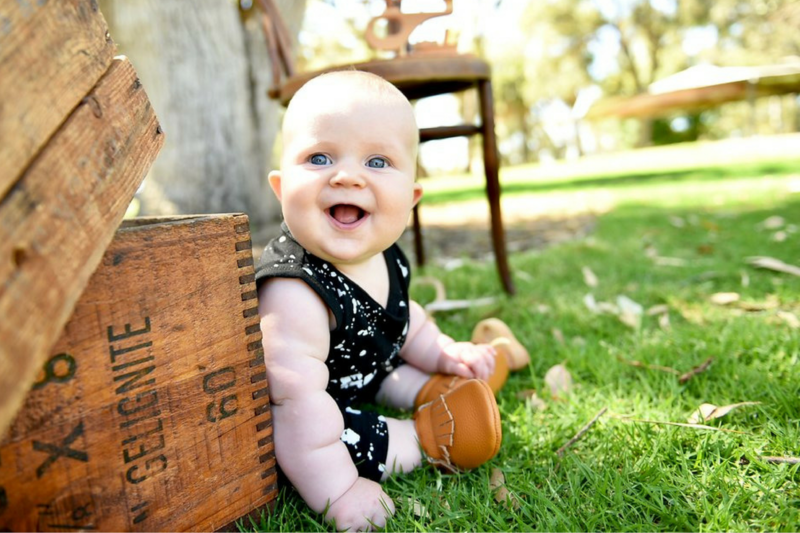 While our shoes do look downright adorable, the soft leather sole also ensures protection from the elements yet allows healthy foot development and guarantees grip when learning to crawl and walk. The elasticised ankle means that they are easy to put on, slipping on more like a sock, so no more struggles to get shoes on or to keep them on. 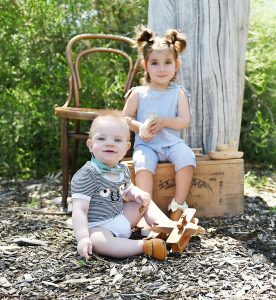 Our Moccs are made from 100% cow leather and will stand the test of time as your little cherub puts them through their paces. I want to continue to grow the business. To not only have a strong online presence but also be available in bricks and mortar stores across Australia and New Zealand. We have just gone into our first bricks and mortar store; Mummy’s Little Essentials Shop 10, Sunray Village Shopping Centre, Rockingham, Western Australia. I wanted to be able to stay at home with my kids; for me particularly, that means not only spending time with the kids but also having something to occupy my mind – well apart from what colour sippy cup will be suitable for Mr 3 today, the constant “Muumm why!!?? ?” and the endless sleep, eat, clean, repeat, cycle. You’ve gotta love it but gosh it’s nice to have something else to think about. 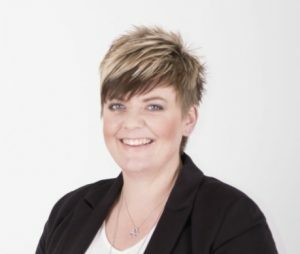 How do you manage your day as a mum in business? I take every day as it comes. Some days are all fist pumps and high fives, others are taken over by my little men and what they are demanding for the day #mumlife. Pre-kids I was a very methodical worker, finishing one job before starting another, now while the kids are asleep I ask myself, ‘can I do this with the kids around?’ and if I can I’ll put it off for later and knuckle down on something that I do need peace for. I always have a lot on the go at once! What advice would you give to other mums who would like to start a business? You’ll have half as much time as what you think you will have and everything will take twice as long as you think it might! Hehe! But if you can handle more sleep deprivation than you already have and you like coffee (and wine) go chase your dreams! I’m proud to be able to project to my boys in these formative years that not only am I a mum, I’m also a woman with drive and determination, with goals and dreams, and I wasn’t scared to make the leap in order to provide more for them. You can connect with Vanessa on Facebook and Instagram and check out Little Leather here.